Justin Verlander hurt himself doing offseason conditioning work and had to undergo core muscle repair surgery Jan. 9. DETROIT — Although he is not in town for the Winter Caravan and TigerFest, Justin Verlander is doing well. Verlander hurt himself doing offseason conditioning work and had to undergo core muscle repair surgery on Jan. 9. Dr. William Meyers, the same doctor who performed surgery on Miguel Cabrera and Red Wings forward Stephen Weiss, did Verlander’s surgery. "It’s early but the surgery went well," Tigers president and general manager Dave Dombrowski said. "Doctor said he’s doing extremely well. He’s a world-class athlete and works hard. So far, his prognosis has been very encouraging." 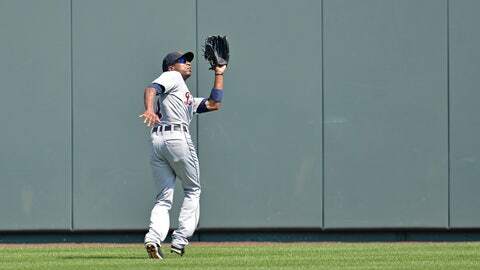 It turns out that Tigers center fielder Austin Jackson's jumping ability is good for more than bringing home runs back into the stadium. 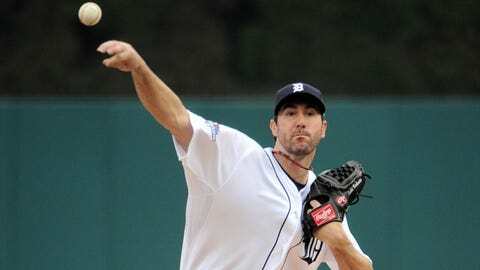 Although the Tigers expect Verlander to be ready for the regular season, they’re going to be careful with him. "We need to make sure that we don’t want him to push too hard because we want him to follow the doctor’s schedule," Dombrowski said. "He’s been under the doctor’s guidance. He’s stayed there so far. Doctor said he’s been doing phenomenal. He’s already moving around. They say he’s at a point where he might start doing some movement drills and all. Like, beginning of next week. He’s doing great." Dombrowski said if Verlander does miss any regular-season time, it won’t be much. "If he misses any time of the season, it would only be a very short time period," Dombrowski said. "I’m not ready to say that he will. But he’s doing very well."